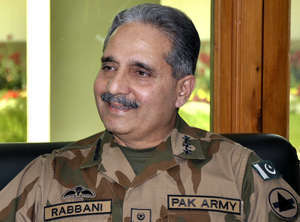 Peshawar Corps Commander Lieutenant General Khalid Rabbani on Thursday said the Pakistan Army attaches immense importance to the development of education sector and is actively involved in nation building projects in areas cleared by the army. He was addressing the inauguration ceremony of Model School Wana constructed by the Pakistan Army in South Waziristan Agency, said a press release by ISPR. Lieutenant General Khalid Rabbani said that concerted and dedicated efforts were being made to improve literacy rate in the tribal areas. The Pakistan Army set up schools and cadet colleges where students are groomed to incorporate qualities of good and productive human beings. Most of these schools and colleges were being constructed in the remote and far-flung areas to improve the standard of education of the so far underprivileged tribal people, he elaborated. The corps commander praised the efforts of the army engineers and political administration for facilitating the local community in spreading rays of knowledge in the area. Earlier on his arrival, he was received by Major General Akhtar Jamil Rao and Major General Nadeem Raza and was briefed about the ongoing developmental projects.